Safety | Noah Schwinghamer, Esq. 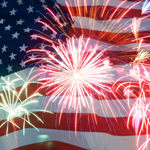 With the 4th of July coming up, it’s important to know your state’s fireworks laws. This website has a list of all the local laws. I hope you all celebrate a safe and fun 4th of July! As always, I cannot verify the accuracy of third party sites.